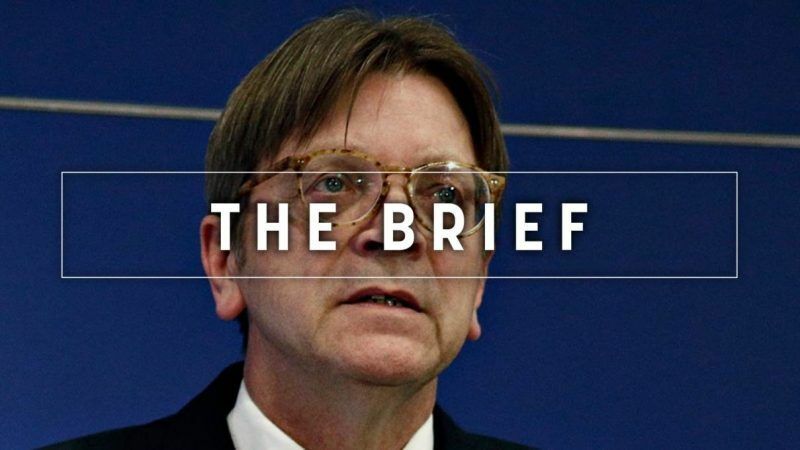 The Brief – Lock in the leaders! Problems inside and outside Europe’s gates keep piling up, while our decision-makers continue to sleepwalk toward the cliff edge. Since our leaders are not delivering on Brexit, migration or improving the monetary union, is it time to lock them in their meeting rooms until they find a solution? The two previous EU summits were clear examples of how dysfunctional the big Brussels machinery has become. In June, leaders postponed once again to December an agreement to bolster the eurozone. During last week’s summit, Council boss Donald Tusk implored leaders to speed up the work because progress is still scarce even though ambition has been watered down. On migration, the results have also been poor. EU capitals are having problems implementing the proposal outlined in June to stem the number of arrivals, including the disembarkation platforms in third countries. The baroque solution came as a result of the failure of national governments to revamp the EU’s migration and refugee framework (the Dublin principle) by sharing more the responsibility across the Union. Last year, Tusk thought that by bringing some of the most difficult hurdles to the leaders’ table, the Council could inject fresh momentum and break the political stalemate. But instead, EU heads of state and government have been accused of “dereliction of duty”, while their countries are “sleepwalking to a new financial catastrophe”, liberal leader Guy Verhofstadt said. Greens leader Philip Lamberts even suggested off mic to let them go hungry, although many reporters would disagree, given how popular the leaders’ menu becomes during uneventful late-night summits. Harking back to the good old days, Verhofstadt remembered how he and Juncker spent “four days and four nights till four o’clock in the morning” in Nice till leaders reached an agreement to revamp the EU institutions. But ministers and government chiefs had already shown that there are no limits when it comes to flights or meetings when the stakes are high, for example when Greece almost blew up the euro area during summer 2015. Trying to inject a sense of urgency to bolster the eurozone in good times may prove as difficult as warning of climate change while we wear a scarf and gloves. And pressure was felt only on the migration front when Merkel’s crown began to slip. But she survived to fight another day. The problem lies with the leaders themselves or at least their willingness to address Europe’s top issues, not the methodology. EU challenges are well known. But national agendas, last-minute problems and unexpected crises are the ones that keep them awake at night, especially in the run-up to elections. A good leader would connect the dots and would see that the short-term problems are only symptoms of long-term challenges, either when it comes to the monetary union, loss of jobs or ‘biblical’ migration flows coming from Africa. It is not five minutes after twelve o’clock yet, as Verhofstadt said. But Europe is getting closer to midnight. Maybe it is time to lock the doors. The Commission has reminded Turkey to respect international accords as part of an ongoing spat with Greece over the planned expansion of territorial waters. NATO’s largest military exercise since the end of the Cold War will focus on a simulated defence of Norway against a Russian attack. The UK government insists that there is no evidence of Moscow meddling in its elections. Romania’s former PM has started a new political party, citing disappointment with Europe’s socialist forces. One of the European Parliament’s vice-presidents warned that the upcoming elections are crucial for European unification. EU-supported efforts to get carbon capture tech off the ground and into mass usage have failed, according to the bloc’s auditors. A landmark cap on sulphur emissions in shipping could be capsized by a US-helmed sally. Single-use plastics could be earmarked for deletion after lawmakers signed off on new rules. The EU’s power sector is “concerned” about new privacy rules on their impact on new energy business models. Apple boss Tim Cook was in town and made an impassioned plea for the US to follow the EU’s lead when it comes to data protection. Surreal Strasbourg: yesterday, a far-right MEP stamped his ‘made in Italy’ shoe on the Commission’s rejection notice of Italy’s budget. Today, the leader of the ECR group made a crass comparison between Nazis and modern-day socialists. That prompted a fiery rebuke from Parliament President Antonio Tajani. Catch up on his full exchange with part-time MEP Nigel Farage here. 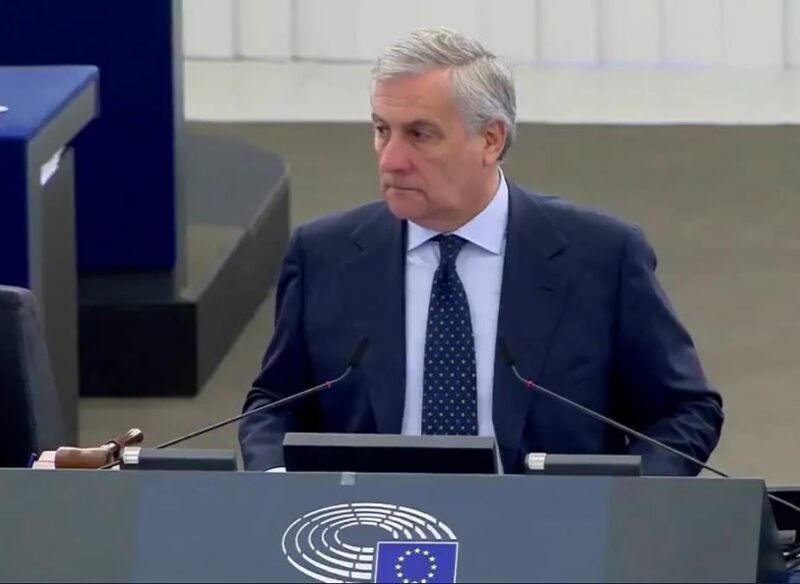 Today’s caption contest has to be Tajani’s death stare towards radio DJ Farage. But what was the Italian thinking at the time? Tweet us your best efforts here. MEPs vote on what could be a defining resolution on the upcoming climate conference in Katowice, where world leaders will have to decide how to make the Paris Agreement a reality.